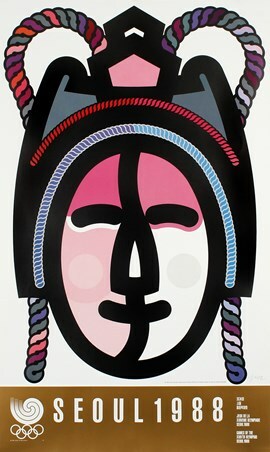 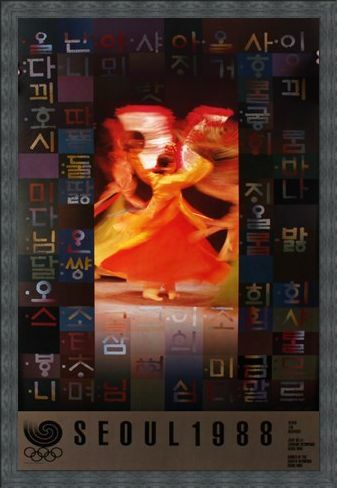 Limited Edition Art Print: Add some culture, fine art and originality to your home with the aid of this beautiful poster. The middle section of this print depicts a fan dance in bright orange, which captures the warmth and excitement of the performances. 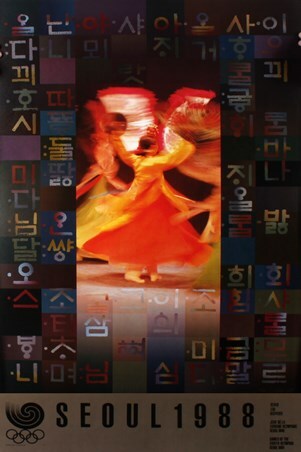 The blurred lines of the dancers really helps to portray the sense of music and movement which brings this poster to life. The patterned boarder comprises of tiles of symbols which makes for an enchanting and magnificent print. 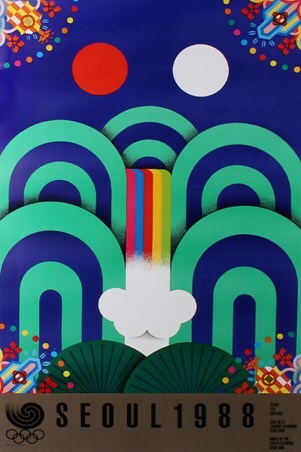 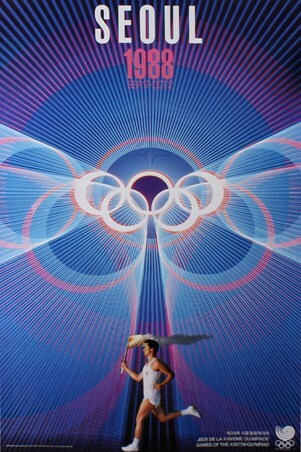 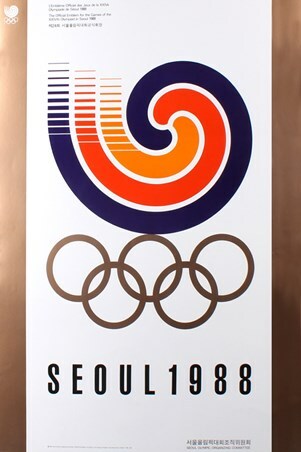 High quality, framed Fan Dance Commemorative Art Print By Ahn Chung-Un, 1988 Seoul Olympic Games limited edition print with a bespoke frame by our custom framing service.